Everynight i promise myself to go on a diet the next day and by lunchtime i have forgotten all about my promise!! Well… thats me… with no selfcontrol! On one of such days where i told myself i should eat healthy i made a huge pot of this soup. Its pure vegetarian and without a drop of oil!! One can make soup in soo many ways with such a variety of vegetables ..i just threw together what i had in my refrigerator and the taste was quite “ok” considering i am not a soup or a vegetable person!! I am sharing this recipe with all of you because you all have asked for it and though its very simple i think some of you just might like it!! By the way my daughter has been eating and eating it for a starter and then polishing off all my cake!! put the water to boil and add all the vegetables and cook till the vegetables are done. Thats it!! If you want you can cool this soup and puree it in the blender but i like to bite into my veggies. Quite satisfying for a cold day…and quite delicious tooo! 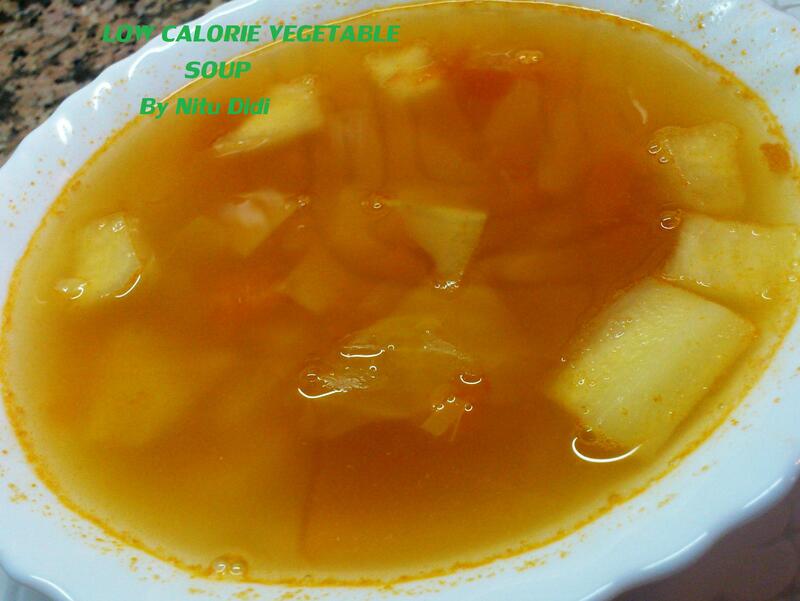 This entry was posted in Gluten Free, Healthy Options, Low Cost, NO OIL RECIPES, Soups-hot and cold and tagged pure vegetarian soup, sou, vegetables. Bookmark the permalink.